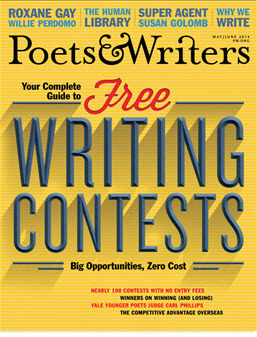 Poets & Writers and The Author's Guild would like to offer you a subscription to Poets & Writers Magazine at the special rate of up to 75% off the newsstand price. That's like getting 9 issues FREE! 2 years (12 issues) for $18.00 - ONLY $1.50 an issue! BEST DEAL! 1 year (6 issues) for $9.95 - ONLY $1.66 an issue! 2 years (12 issues) for $38.00 U.S.
1 year (6 issues) for $19.95 U.S.
2 years (12 issues) for $50.00 U.S.